See if the taxes are going up or down for you this year! Tax changes are made and the new tax law is passed. See if your taxes will go up or down this year. Our nation is going through a big change that has the power to change the face of the country’s economy, which has been dominant for the past few decades. The new tax law of 2018 is passed by the Grand Old Party with huge expectations. The first intention is to hike up employment and salary increments for workers. The corporate taxes are now reduced to 21% from 35%. The motive is to drive more money for the corporations that will support the JOBS Act and will make a better infrastructure for small-scale businesses and industries. But our concern for this post will be limited to whether the taxes for general citizens will go up or down this year. Before we go ahead any further, let’s get a conical view of a few key factors that are impacting normal households and the general mass, as per the new tax law. Miscellaneous expenses that consist of tax preparation fees, hobby expenses, investment paperwork fees, originating fees for some financial transactions and other tax consultation fees, cannot be deducted anymore from gross income as per the new tax law. Charitable contributions are now increased to 60% of Adjusted Gross Income than the previous 50%. Home mortgage interest deduction can now only be made on the first $750,000 of the acquisition debt’s principal amount. Previously this was $1 million. Also, you can no more deduct home equity loan interest as before. The medical expenses can now be deducted if it crosses 7.5% of your adjusted income. But this new rate is only valid until the end of 2018. With 2019 the limitation for the deduction of medical expenses will again get increased to 10%. But the best news is with the standard deductions. The deduction amount is now increased to $12,000 for single household filing status, $18,000 for the head of household filing status, and $24,000 for joint filers. Hope this brings a smile on your face. 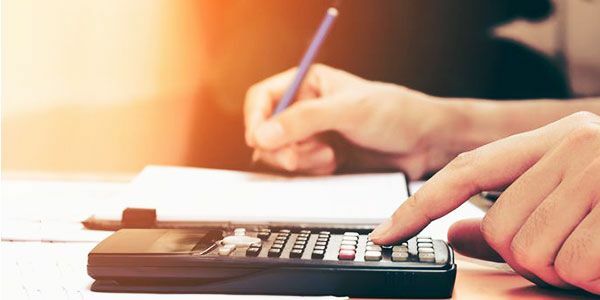 Even though many itemized deductions got limited or eliminated, still the standard deductions might be able to substitute it for most of the tax filers. Single filers can only deduct upto $10,000 in total, inclusive of property taxes, state, and local income taxes and/or sales taxes. For joint filers, the amount is fixed to $5000. Moving expenses or goods transportation costs deduction is now eliminated for general citizens. Only active duty member of the military and other armed forces can deduct moving expenses. Child tax credit as of 2018, is $2000 per child, and $500 for non-child dependants. It’s an increase from the previous $1000 per child dependent tax credit till 2017. You can now take out upto $10,000 a year from a 529 college savings plan to use only for school expenses. Public, private elementary, secondary, or any other type of school qualifies for this category. The penalty for not having health insurance is now eliminated. The tax brackets and tax rates are also adjusted. The highest tax rate is now set at 37% instead of the previous 39.6%. The conclusion: Will the taxes go up or down for us this year? Not easy to say but chances are it will go a bit down overall, as the highest tax rate for the highest income bracket is now reduced to 37%. Standard deductions will help us to save more money on taxes than ever before. There's no denial in that. Moreover, we are also expecting to see an increment in wages and salaries this year, as the corporate tax has been reduced. But those are falling on the bright side. The dark side, on the other hand, is that there are predictions of recessions in the corporate sector in the long run. Given the huge chances of increments and employment, our country might face a recession, job drop, or other certain inflations which might not be that good. My suggestion, for now, would be not to indulge in too much of itemized deductions, rather go for standard deductions. For this year’s taxes, consult your attorney and revise the options you have to save the most on your taxes. Check out the detailed approach on Tax Changes of 2018, to know more. Page loaded in 1.044 seconds.